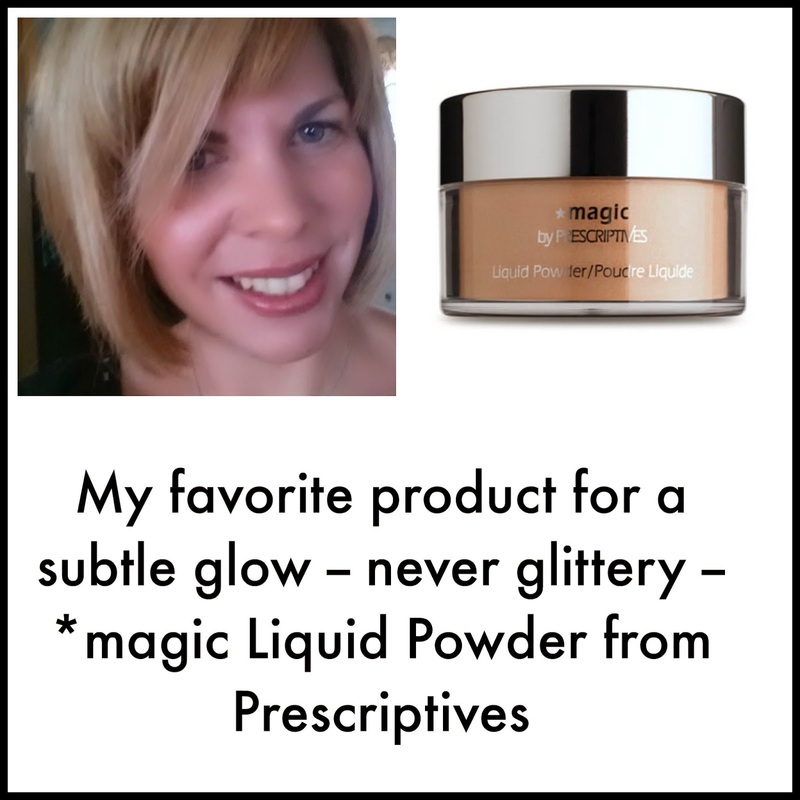 I will never forget my introduction to *magic Liquid Powder from Prescriptives. I was in my 20s working as a makeup artist at Estee Lauder at the Eastview Mall Kaufmann's store. On my lunch break, I wandered over to visit my friend at the Prescriptives counter, which was located by the women's fragrances. I thought she might be ready to head to the food court, but she was busy unpacking a box of the latest Prescriptives release -- *magic Liquid Powder. I remember her telling me about it and then she offered to let me try some. I almost laughed at the idea that a powder could be a liquid. I mean, it looked just like regular old loose powder to me. When I felt it applied with a brush, I was in awe. It felt like liquid. And when I looked in the mirror, my face was absolutely radiant. I bought my first jar. Now, almost 15 years later, I am still using it. There were years I did not. But there really was never anything out there that was the same concept. I use a kabuki brush and sweep it over my face. It diffuses fine lines and just adds a very subtle glow. In fact, you know how I cannot stand when companies make claims that don't deliver. On the Prescriptives website it says "Instantly cools and diffuses light to minimize the look of lines, pores, and wrinkles" and it truly does this. I loved it at 24 and I love it at almost 39. I can't imagine not using it again. Do not let the $39.50 deter you. My *magic lasts me a full year! It is lightweight, non-caking, paraben free, free of formaldehyde releasers, and has a truly luxurious feel. No wonder 97% of users on the Prescriptives site recommend it! You order online with free shipping and free returns every single day. No gimmicks. Have you tried *magic before? What were your thoughts? Disclosure - I am a Prescriptives Passionista, which is a non-compensated brand ambassador who just loves the products! All opinions are my own. A cure for Keratosis Pilaris?